A little color goes a long way. Having a golden complexion or simply getting a little color can always be achieved with the help of bronzer and tinted body lotions. Being a fan of 2-in-one products, it comes to no surprise that a tinted moisturizer would be one of them. They’re great at evening out skin tones and providing natural looking coverage. AVEENO’s Positively Radiant TintedMoisturizer ($15) is a good choice. It protects against UVA/UVB with an SPF of 30. Positively Radiant is oil-free and hyper allergenic. It’s beneficial for all skin types, sensitive enough to use everyday, and not overbearingly shiny. AVEENO’S has shown me great results and proved to work just how it says it will. The packaging is perfect to throw in your purse and comes with a top that lock by twisting; preventing it from opening up on its own. The color goes on sheer and the light smell isn’t overpowering at all. Tinted moisturizer can take the place foundation. Most, if not all, of your imperfections get hidden discretely with the tint. 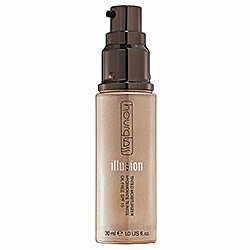 If you’re looking for a moisturizer with more coverage try Hourglass Illusion ($55). It’s liquid based like a foundation making it great for drier skin. With more shades to choose from, you’re able to get one closest to your skin tone. The Hourglass formula is oil-free and has an SPF 15.